Often, these therapies go together. Massage helps release the soft tissues, and this makes it easier to get safe, effective, and faster results from chiropractic treatments. 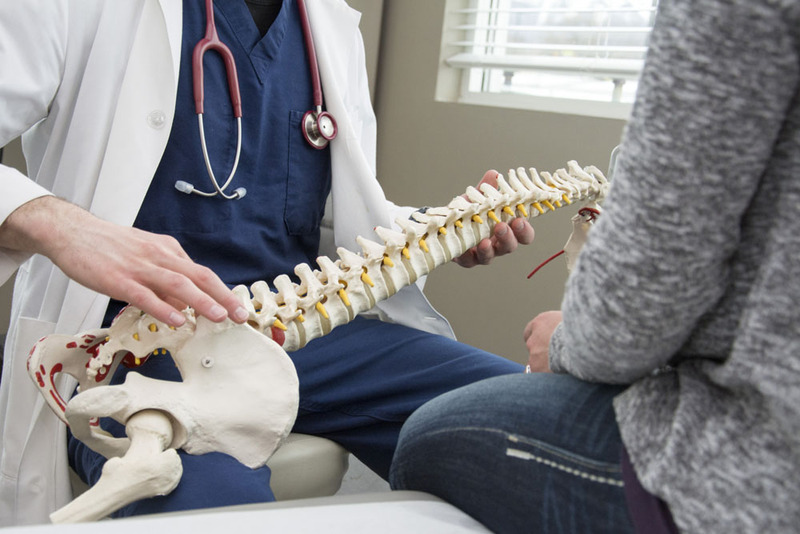 The reason is simply that when your soft tissues have been loosened up, there isn't as much resistance to spinal manipulation. Massage can also directly reduce the amount of pain you're feeling by helping with trigger and pressure points, increasing circulation, and promoting the release of endorphins. You've surely been told to "get more exercise" by random people who hear you complain about things like pain and stiffness. This, however, doesn't provide nearly the level of detail you need to get any good out of it. In fact, simply exercising without a plan can put you into more pain and disability than you had before! We provide exercise plans that are safe, effective, and that will not backfire on you. You can then exercise with confidence that it will indeed help your condition. The human diet is one of the most controversial aspects of health. Everyone will tell you to eat healthily, but if you press for details, you'll find a surprising amount of contradictory advice. Should you go for the baked skinless chicken breast and the salads? The high-fat, low-carb diet full of eggs and steak? Perhaps you should go Paleo! We help ensure your dietary success by working with you to develop an eating plan that works for you and your goals. There simply is no single plan or diet that works for everyone. One person's perfect solution can lead to cravings or digestive difficulties in another and vice-versa. By getting our nutritional counseling services, you save yourself the trial-and-error and can rest assured that a professional opinion has been rendered. Catching problems early are essential to both preventing and minimizing pain. Thanks to our SAM, or Spinal Analysis Machine, we can screen for common back problems in just a few minutes. Subluxations, scoliosis, and general imbalances are easy for the machine to detect. If any are found during your consultation, we'll offer a comprehensive and holistic plan for any needed repairs. To get started on the road to good overall health, just call us here in West Haven, UT. Our phone number is (801) 731-9899 and we are Live Well Chiropractic.